I liked his direct manner in getting to finding out what my problem is. He was courteous and thorough. Dr. Boleman was great! He answered all of our questions and gave us all the information we needed. He really tookhis time with us. I would highly recommend him! Dr. Boleman was great! He answered all of our questions and gave us all the information we needed. He really took his time with us. I would highly recommend him! ***Please include your accurate Address, Zip Code, Phone, Email and Insurance Information when booking your next appointment*** William Boleman, M.D.Dr. Boleman received his medical degree from the University of South Carolina on a scholarship from the United States Air Force. Following graduation he completed a residency in Pediatrics at Keesler AFB in Biloxi MS. He spent five years practicing general pediatrics in the Air Force prior to completing his fellowship in Allergy/Immunology at Wilford Hall Medical Center in San Antonio, TX. He then spent 11 years practicing Allergy at Keesler Medical Center in Biloxi prior to his retirement as a Colonel from the Air Force. During this period he served as the Chief of Allergy/Immunology/Immunizations. A passionate educator, Dr. Boleman was on teaching staff for the Internal Medicine Residency Program and served as Residency Director for Pediatrics for two years prior to the program's dissolution following Hurricane Katrina. Dr. Boleman cares for both children and adults with asthma, allergic diseases, and immunodeficiency. He has a special interest in allergy immunotherapy, food allergies, and asthma and has published and given presentations on these topics at the local and national level. He is a member of the Academy of Allergy, Asthma, and Immunology and a fellow of the American Academy of Pediatrics. During his fellowship, he and his classmate from Wilford Hall won first place in the annual FIT Bowl (Quiz Bowl) at the annual meeting of the ACAAI, beating out teams from fellowship programs across the United States. In his spare time, Dr. Boleman enjoys working out, triathalons, and traveling. He plays the piano/keyboard and loves many genres of music, especially classic rock and country. A big fan of live music, he can be found at many local concerts. It was a good visit. I recieved the answers i wanted. Overall visit was great. I loved my overall FIRST visit there! The front office staff, Nurses/Medical staff, & DR. Boleman were all very kind, friendly, and very helpful. The staff was courteous and professional. I have peace of mind knowing exactly what my child is allergic to! It was pleasant and non-stressful. Dr. Boleman took his time to listen to my concerns and took time to explain his diagnosis to me. My visit with Dr. Boleman went well . I was taken to an examination room in less than 5 minutes. Once my vital signs and questions completed by the nurse, Dr Bolemen arrived. My questions where answered and concerns addressed. I would recommend CAA to friends and family. Dr was ok. Seemed impersonable. Staff was nice. We will be back for a follow up. So I’ll see how that goes. I felt the visit was rushed with minimal feedback about possible causes. I went back for a second visit for a review of my blood work. He was out and I met with his colleague who was far less pretentious andtook the time to answer all of my questions and concerns without shrugging them off. Great office experience, the Dr. was able to answer all of my questions and put my mind at ease. He seemed liked he was in a rush. He kept asking the same questions over and over again. If he had just took the time to listen to the first answer I gave he wouldn't have had to ask the samequestion over and over again. My sense was that he was the only doctor on duty and he was trying to get us out of there quickly. He was wonderful. My son and i like him alot. He has helped my son with his breathing. The office took over a hour just to verify my insurance. I had arrived 15 minutes as requested for changes in information. The group has several locations and only one person who can verify insurance information for all the offices. Ithen waited another 35 minutes to get called back. It took a total of over two and a half hours. I am not a new patient and usually takes about 45 minutes. Dr. Boleman was very knowledgable, took his time with me and only treated me for what was probable since I'm self-pay. His staff was excellent as well. Knowledgeable and patient when I asked questions. I will not be seeing this doctor again. He didn’t listen to me at all, kept telling me the symptoms I was explaining was a dermatological issue, except he was not listening to the symptoms i was explaining to him...his attitudewent south as soon as he picked up on the fact that i was frustrated after being sent to specialist after different specialist. Will definitely not see again. Dr. Boleman was very thorough. He listened to my issues and talked through his recommended testing to determine the issue. He asked lots of detailed questions about my previous medical history this year since my problem is fairly recent. Myinsurance unfortunately would not let me get skin tested the day of my consultation, but scheduling an appointment for the one week minimum required by insurance was easy. If this was not an issue with insurance, Dr. Boleman would have conducted the test that day. He also ran through some breathing tests and although it all came back normal, he listened to my concerns about shortness of breath and had my redo the tests after testing with an inhaler. 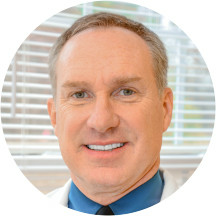 I highly recommend Dr. Boleman, as he is patient, kind, and exceptional at his job. Dr. Boleman was very helpful. He made sure to answer all questions I had about my daughter. He even made sure to ask her if she had any questions for him. We are very pleased with the care we got fromDr. Boleman and his staff. Everyone was very friendly and helpful. I was very pleased with my experience in the office. The staff and Doctor were quick and professional. Not too many forms and hoops to jump through. The office was clean and organized. Dr. Boleman listened to my concerns and addressedthem as well as answered my questions. I am satisfied and looking forward to my next visit. Dr Boleman and his staff were SO friendly. I went straight into my appointment with no wait and they spent so much time discussing my health. We went right ahead and did a food allergy test (20 min) and got results immediately. Dr. Boleman was amazing. Knowledgeable, asked the right questions, and we were comfortable with him. My only complaint was the lack of professionalism evident at the front desk. The young lady looked like she had just rolled out of bed, herhair was unkept, she was obviously sick, and eating fast food and checking her cell phone while I was standing there waiting for her to finish checking me in. First impressions are everything. Had I not driven an hour for this same day appointment (which was again a bonus by the way), I would have left. It caused me to wonder if this was a legit establishment. Again, the doctor was great and the nurse who saw us was great, but the front desk lady should have stayed home. Excellent staff and attention to our needs. They were late opening up for our 8 AM appointment but we were out by 9 AM. We received our follow-up material, Rx and a school excuse letter. I had an allergy test done same day and received results. I went in wanting to be tested for a range of different things. Instead the Dr elected to test me for most common allergens in the area along with she'llfish. I was looking for more but overall I am satisfied. The staff was great!!! I don't like places that require you to pay instead of billing insurance first and then paying the remainder. This is one of those places. Excellent service provided by staff and doctor. Took his time and listened to me. Would definitely recommend him to others. Doctor spend a lot of time answering all my questions.Assistants were very nice helping my Daughter with her worries. Very professional. Thank you! We waited less than five minutes from my son's scheduled appointment time to get called back. The nurse and doctor were very attentive. The doctor took time to listen to my concerns and came up with a great plan to treat him. He was very personable and not intimidating. They are very nice! They make my son feel comfortable and the appointment making process is easy. Yes,It was good with Dr.William Boleman and he had treated and observed my problem and provided good medicines for my Allergy. Totally it was a good experience. Thanks. Great Dr and great staff. Wait was minimal at a 9 am appointment. Staff and Dr were thorough and provided explanations add to what they were doing. I did not feel this facility was the right fit for me. It was a good experience overall. Will recommend it to my family and friends. Very nice doctor. Asked manyquestions, listened to everything I had to say. Spent pletly of time with my son. Great office staff, nurses were the best. The Dr was really good. My only complaint is I wish he would have gone over my results with me a little better. The office staff was very friendly. Dr. Boleman was very helpful and I'm excited to find an allergy Dr for my daughter in this area! He was very professional and spent time explaining things to me. I didn't feel rushed. Very good doctor, wait to wasn't great but worth the wait. He was very friendly and thorough with me. He took time to listen and I felt he understood my issues. I liked him and his staff a lot. I was looking forward to getting some answers from Dr. Boleman as he had such good ratings. His office seemed disorganized to me as kids were playing and making way too much noise. (More of a parent problem, but his staffcould have rectified this problem) He didn't seem interested in my problem and I felt that I threw my rather large deductible out the window. Will not be returning.